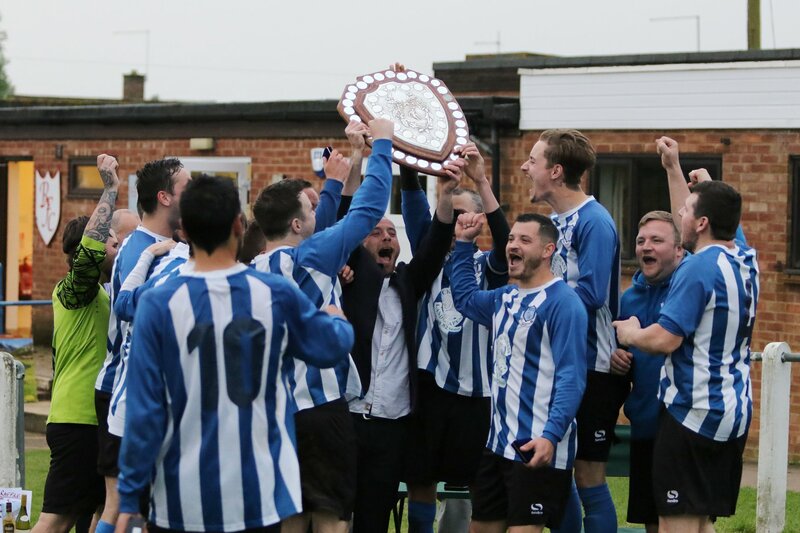 Buckingham United Firsts took on Olney in the Division 1 Challenge Trophy. A break from the league gave the Buckingham team a chance to test themselves against Olney yet to be beaten in the league. Buckingham started the match slowly but Olney used the large pitch to their advantage and finding space on the wings linked up with the forwards to create some early half chances. Buckingham may have shown the Olney team too much respect in the opening exchanges but then began to win the first ball and prevented Olney from playing comfortable football. Buckingham began to grow into the match and pressured the Olney team for 10 minutes pushing them back into their own half. Wintry conditions with wind and rain didn't affect the quality of football and both teams passed the ball well but neither could find the quality in the final third to take the lead. The teams were working hard, cancelling each other out showing the quality of both teams with the first half ending 0-0. A good display from Buckingham United but left much to improve on in the second half. The second half began and both teams continued to use the space on the pitch well and get into promising areas. Olney found a new energy, they enjoyed a good period of possession and testing themselves against the Buckingham defence. Olney gained a corner that was whipped in front post, took a deflection and landed for the Olney striker to tap in from 4 yards in the 52nd minute. Conceding such a soft goal was a blow for the Buckingham team but it seemed to kick them into gear, they began to dominate possession and the match straight from the kick off. A flurry of corners ended in the Olney defender fouling Mitchell Young for a penalty. Mitchell Young took the penalty, never looked like missing, and slotted it home with ease. In a great response Buckingham were keen to capitalise on the equalizer and pressed again for the winner. Aaron Jones and Jack White were growing into the game and bossing the midfield. The Firsts were passing the ball around with ease and tiring the Olney team on the large pitch. Endless running from Danny McCarthy and his composure on the ball put Buckingham on the front foot. The team’s dominance created some great chances, Mitchell Young headed close and Jimmy Richardson also shaved the post with a close effort. Buckingham continued to apply pressure for the last 10 minutes but couldn’t find a way through and the final whistle blew at 1-1. Extra time was needed and again Buckingham were on top from the off. Another great chance popped up for Mitchell Young and he fired it just over the bar. Olney showed very little in response and, still tiring, were there for the taking, but the first half of extra time ended without goals. The teams changed ends and there were now 15 minutes left before it would be taken to penalties. In spite of their continued dominance it was Buckingham that conceded. A cross came in, was met by a run from an Olney player, and went in for the lead in a cruel blow for Buckingham, conceding another soft goal. Buckingham still had a few minutes to grab an equalizer but throwing players forward resulted in an Olney counter attack and their third goal that ended the game 3-1. After playing a tough 120 minutes the result was hard to take but many positives can come from this game for Buckingham. The Firsts were able to dominate a very good unbeaten team for most of the match and that can only result in future wins. Buckingham should feel confident that they can beat Olney in the league and maybe catch them up. A great performance from Buckingham United who next face City Colts in the league, the other unbeaten team in the league.